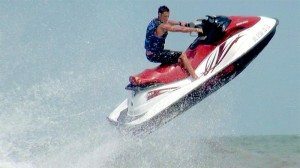 There are so many types of water sports in Myrtle Beach and a good example is jet skiing. This is one of the most popular and interesting water sports that you can ever take part in, whenever you visit the beach. For that matter, even the Intracoastal Waterway is filled with jet skiers. If you are planning to participate in this sport for the first time, you may be going through tense moments due to anxiety and uncertainty. You may not know how to handle the jet ski, how to start skiing, how to increase your speed, how to stay safe in water and so on. However, you no longer have to worry because Ocean Watersports in Myrtle Beach can come to the rescue. Since 1981, Ocean Watersports has been offering the best of a Myrtle Beach vacation. If you want to experience the thrill of racing through the water on a jet ski, check out Ocean Watersports — which is great to visit whether you’re a beginner or an experienced jet skier. Located next to Family Kingdom Amusement Park at 3rd Ave South in Myrtle Beach, it is easy to find. Reservations can be made by calling 843-445-7777.